Sometimes, “good enough” just isn’t, well, good enough. In most cases and for most drivers, settling for second best may be fine for some good old rough riding, but you’re no average driver – and in order to satisfy your appetite for the toughest trails, the rockiest ridges and the muddiest banks without sacrificing even an ounce of style, only the best will do. And for those like you, there’s only one suitable option that can meet those needs and still keep you coming back for more – and that’s the 2016 Jeep Renegade. Born out of decades of off-roading experience and crafted with the finely-tuned precision that can only be found in a Jeep, the 2016 Renegade offers an outstanding option for off-roaders who are looking to turn heads while they traverse tricky terrain. A truly 21st century model, the 2016 Renegade has turned heads both on the trail and on the highway thanks to its powerful performance, its surprisingly attractive design, and its tech-rich cockpit – all of which come together to make what can only be described as one of this year’s most desirable off-road SUVs. Whether you’re a seasoned off-roader looking to get away from the trappings of the usual models or simply a newbie to the trail-conquering community, the 2016 Renegade is, without a doubt, worth taking a closer look. Chances are, you’re going to be as impressed as we are – and maybe even decide the time is right to grab one for your very own. Maybe you've got your eyes set on taking on the Moab trail, or maybe you just need something that can take on your driveway day-to-day no matter the time of year - whatever your need may be, the Renegade can meet it. That's because this impressive Jeep comes fully loaded with everything from impressive off-road capabilities to engine options that will leave the competition in the dust every time. Point being: the Renegade is no laughing matter once you start to put pressure on that pedal. It's no secret that Jeep offers outstanding 4x4 capabilities, and the Renegade proudly carries on this tradition with a powerful 4x4 system that can seamlessly adjust to any terrain challenge. A standard Selec-Terrain traction system offers up to five driver-selectable terrain modes - Auto, Snow, Sand, Mud, and (on the Trailhawk model) Rock - for easy adjustments to help better meet the demands of the road. Plus, with a rear axle disconnect system that can seamlessly switch between two-wheel and four-wheel drive, your Jeep can easily adjust to meet power demands, reducing energy loss, and boosting efficiency out on the trail. And with the Active Drive Low system available on the Trailhawk trim, you'l be able to better perform under various and changing conditions - all of which come together to give the Renegade its venerable Trail-Rated badge. Renegade drivers won't be running into any shortage of pure engine power any time soon thanks to the standard 1.4-liter MultiAir Turbo I4 engine, a scrappy and respectable option that offers an impressive 160 horsepower and up to 184 lb.-ft of torque for all your power needs, from highway cruising to rock crawling. And since this engine utilizes MultiAir technology, you'll find the Renegade provides plenty of easy, efficient power thanks to electrohydraulic valves, which allow for more direct control of air and combustion. Those who need unmatched power in their Renegades, however, might want to consider the mighty 2.4-liter Tigershark I4 engine, a powerful available engine option that boasts up to 180 horsepower and 175 lb.-ft of torque for rip-roaring power no matter where you may find yourself. This clean-burning and efficient engine maximizes fuel efficiency using an efficient valve-lift system which utilizes a column of oil flow with precise control of the intake valves - meaning that both the 2.4-liter Tigershark and the 1.4-liter MultiAir Turbo manage an outstanding 31 miles per gallon highway, giving you more time for your adventure and less time worrying about filling up at the pump. If there's one thing that's seriously not lacking on the Renegade, it's an impressive and enviable style. Built to redefine what a Jeep can look like with all that power under the hood, the Renegade merges all the style and grace of Jeep's more family-friendly models - like the Grand Cherokee or the Compass - with all the power and performance drivers have come to expect from off-road models like the Wrangler. Together, these make one mean-looking, head-turning, and expectation-defying vehicle with a comfortable cockpit that shouldn't be missed. Whether you're more into the cozy cabin - complete with available heated, leather upholstered seating, the 7-inch personalized instrument cluster, the available MySky open-air dual sunroof, or the available heated and leather-wrapped steering wheel - or the choice exterior features - like distinctive "X"-style rear brake lamps, the capless fuel filler, the available Roof Rails, or the halogen headlamps - you're sure to find the Renegade one good-looking vehicle with a touch of ferocity to go along for the ride. Ever been out on the trail, enjoying the fun of taking on tough trails, but wishing you had your favorite tunes to make the ride that much more enjoyable? Ever had to take a long trip and worried about losing touch with the world on the way? Ever been worried that your off-roader just doesn't have what it takes to meet the worst of what the road can throw at you? With the 2016 Renegade, you can set all these fears to the wayside, thanks to a wide array of today's top tech included standard or available at your discretion. Never leave your music or your world behind again thanks to the available UConnect infotainment system with hands-free calling and a 5-inch LCD touchscreen, complete with USB, Bluetooth, and auxiliary audio connections so you can keep the tunes rolling and stay on top of business even when miles away from your home or the office. Plus, with a six-speaker audio system and available HD Radio, you'll be privy to concert-quality acoustics to enhance all those great tunes. Fear not the fury of the open road in the 2016 Renegade, which comes complete with today's top safety tech - including Advanced Multistage Front and Side Airbags, Electronic Roll Mitigation, Electronic Stability Control, and a LATCH Ready Child Seat Anchor System to keep your most valuable cargo safely in tow no matter where you roll. And those who choose available features like the Rear Backup Camera or the Remote Start System will easily combine the luxuries of the modern day with safe driving for easy peace of mind wherever you roam. When it comes to finding all this power merged with unbeatable style, the only way to go is with the 2016 Renegade – and when it comes to finding the perfect Renegade for you, there’s nowhere better than with the Faricy Boys. 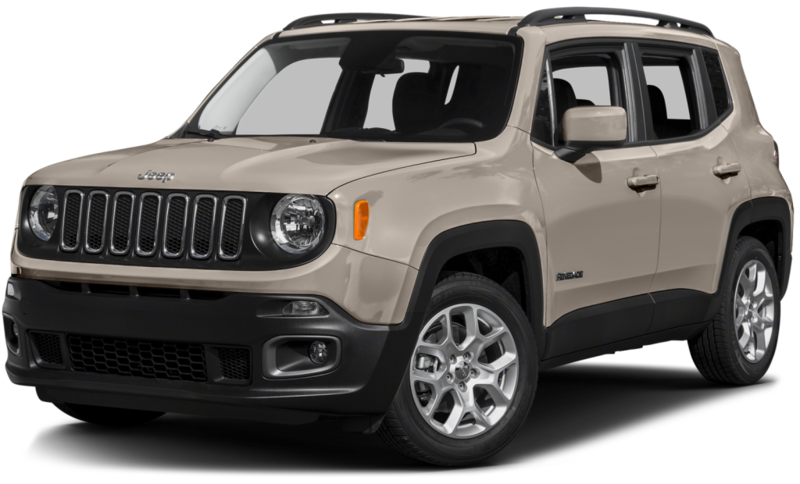 Known far and wide as the premier Jeep dealer in the Colorado area, the Faricy Boys are ready and able to help you find the Renegade for you at a price that works with your budget. So whether you’re new to off-roading or ready to upgrade your machine, get in touch with the Faricy Boys and get yourself into a brand-new 2016 Renegade today – and don’t be surprised if you never want to let it go.